Planning for your retirement involves balancing what you're willing to set aside now, with what you'll pay in taxes while in retirement later. For those reasons, and some others, splitting your retirement savings between a traditional 401(k) and a Roth 401(k) — or IRA — is sound planning. In a traditional 401(k) you make pre-tax contributions and pay taxes in retirement when you withdraw. The contributions to a Roth 401(k) are already taxed, so the money withdrawn is tax free, as long as you've had the Roth account for at least five years. While not everyone has employer-sponsored Roth offerings or even a 401(k), the opportunity to split your retirement savings in a similar way can be done on your own using a traditional IRA and a Roth IRA. "It does come down to the taxes," says Catherine Golladay, senior vice president of Schwab Retirement Plan Services in Richfield, Ohio. The problem, especially as a young person, is that no one knows what is going to happen with tax rates or your income between now and your retirement, and those things can make a big difference down the line. Traditional vs. Roth — or both? "Many young people, as they grow into their career, have the expectation that they will become higher earners and subject to a higher tax-bracket," says Golladay. In that case it can be advantageous to put money in a Roth when you are younger and your tax bracket is lower. "For younger workers, they have a longer time horizon for these contributions to grow tax free," says Golladay. Those in their 40, 50 or 60's don't have as much time for that money to grow. Still, if you're thinking about a Roth and you're more than five years away from retirement, Golladay suggests contributing even just a little bit. You can withdraw from a Roth as early as 59½. The only caveat is that five years must pass since your first contribution before you can withdraw the earnings tax free. "I've seen people put as little as 1% [of their retirement savings] into the Roth, just to start the five year clock," she says. The annual limit for all 401(k) contributions in 2018 is $18,500. But if you are scrimping to put aside retirement funds as it is and the tax burden of going all Roth is too great now, splitting your contributions between a traditional and a Roth can be a solid choice. 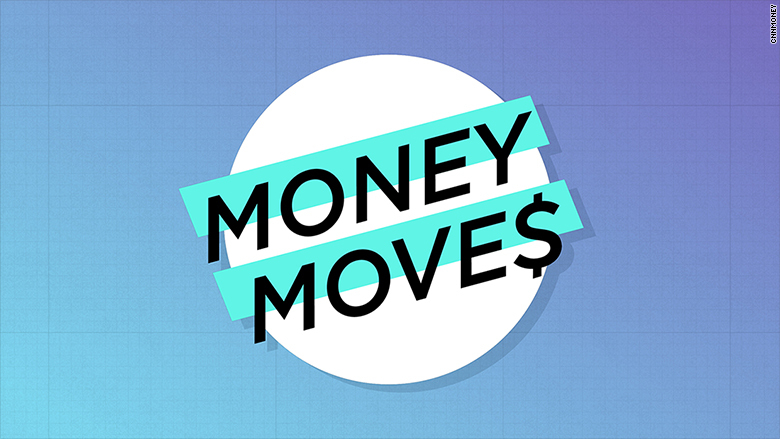 Do you have a question for Money Moves? Ask us here to be included in a future column. 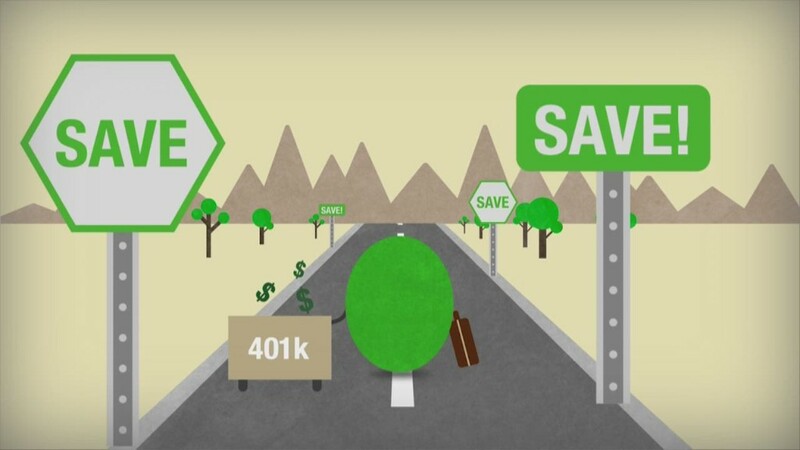 In addition to shifting the load tax-wise as you pay into your retirement funds, and allowing for flexibility when you're withdrawing, there are other benefits to a traditional/Roth 401(k) split. "More sophisticated tax strategies come into play when you have these options," says Golladay. If you're moving into retirement and up against the mandatory withdrawal age of 70½, you have some room to maneuver. Sure, you'll have to take required minimum distributions from both kinds of accounts after you turn 70½, but your Roth 401(k) withdrawals will be tax free. Closer to retirement, you may want to roll both over to Roth IRAs to avoid required minimum distributions. You don't need to take required minimum distributions on a Roth IRA until after the death of its owner. Or, you could roll the traditional 401(k) into a traditional IRA and the Roth 401(k) into a Roth IRA to keep some tax diversification. "In years that an individual has a big expense, to pull the additional amount of money out of the tax-free source — out of the Roth — is a huge benefit," says Golladay. The other thing that she sees people doing is using the two funds to manage their marginal income tax bracket, she says. They may pull some money out of the tax-deferred fund, and anything needed beyond a certain amount they'll pull out of their Roth to avoid moving up to the next income bracket. "With a 50/50 you're maximizing the tax diversification strategy," says Golladay. "Even if you don't know what tax bracket you'll be in once you're retired, you have the best of both worlds."